Professor Stephen Hawking has appeared as himself on The Simpsons, Star Trek: The Next Generation, Futurama, and The Big Bang Theory, but for once, he'd like to play someone other than himself. And he even has the perfect role picked out: Professor Hawking wants to play the villain in a James Bond film. My idea role would be a baddie in a James Bond film. I think the wheelchair and the computer voice would fit the part. 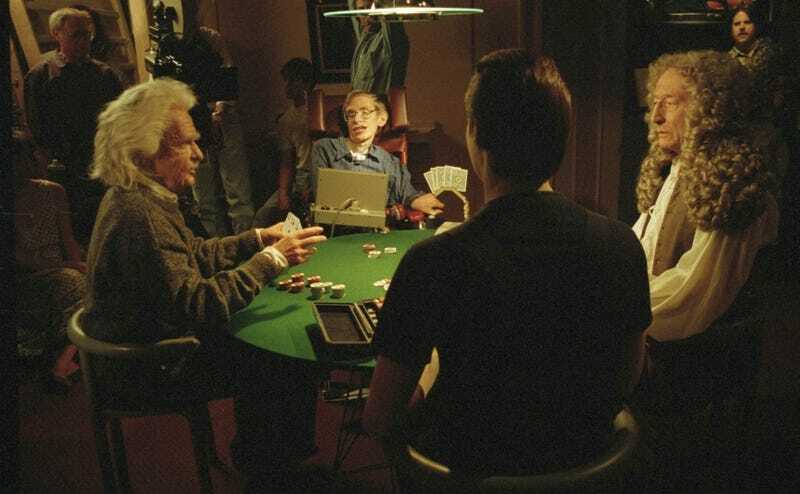 And while Hawking may think his voice is perfect for a Bond baddie, he has very warm feelings toward that computer voice, which has given him the ability to deliver popular lectures. The full interview appears in the January issue of Wired.